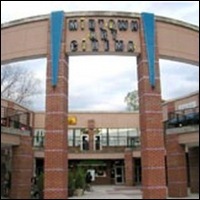 Located in the Midtown Promenade Center, Landmark Midtown Art Cinema is quickly becoming the premier home for independent, foreign language and documentary films in the heart of Atlanta. The venue has eight screens and was built in 1987. It has been operated by Landmark Theatres since 2003. Parking: Parking is free in the shopping center. MARTA: Take the Red/Gold Line to the Civic Center station. Out of the station, walk east on Peachtree Place. Turn right at Juniper Street, and turn left at 8th Street. Turn right on Monroe Drive, and make a left on Monroe Circle to reach the venue.